Wildseed Farms, which is just seven miles east of the Hill Country town of Fredericksburg, offers much more than just wildflower seeds for sale. Be sure to take your camera if visiting there in spring or summer, as one is guaranteed to see vast fields of flowers in bloom. You don't want to miss the chance to come away with some brilliantly colorful photos of these wildflowers. My husband and I happened to be in that area of Texas in April one year, and we decided to see what the largest wildflower farm in the country looked like. If one can envision hundreds of acres (200 to be exact) of different patches of vividly colored wildflowers swaying in the country breezes, then one has an idea of the appearance of this farming locale. Walking trails lead into the center of some of these wildflower fields, all of which are carefully cultivated in order to harvest their seeds. The name of this establishment is most suitable because farming is the basis of what they do and wildflower seeds are the crux of their business. 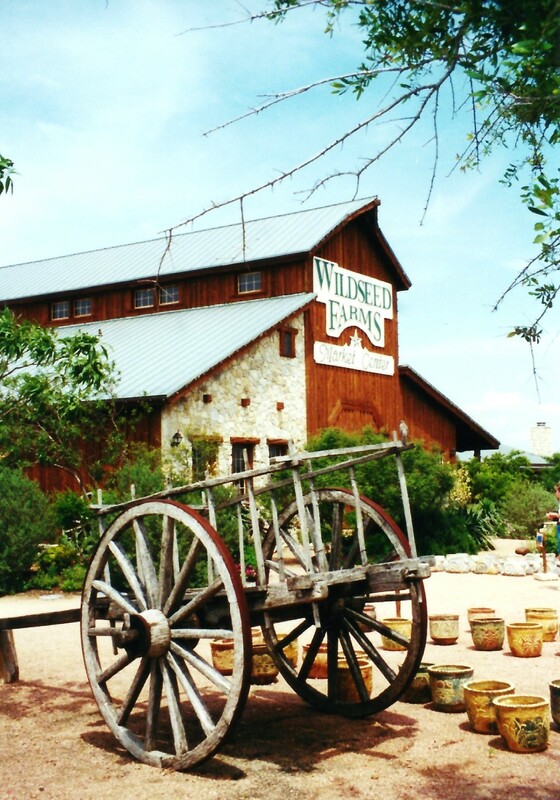 Much like most businesses Wildseed Farms has diversified their offerings so as to entice more people to visit and from what we saw they have succeeded. April is a beautiful time in Texas because of the Texas bluebonnets (our State's official flower) blooming along the highways in fields and pastures. Despite the cost of gasoline people head out to see the annual blaze of wildflowers which include the bluebonnets and other wildflowers. Parents take photos of their children sitting amidst the fields of flowers for use in adorning greeting cards later in the year or to simply put into family photo albums to be enjoyed for years to come. Many of the seeds cultivated at Wildseed Farms undoubtedly end up being distributed along our Texas highways and elsewhere. My husband and I decided to join the other visitors in strolling through the paths with wildflowers blooming almost everywhere we cast our eyes. The different wildflowers had signs marking the names which made it interesting as well as helpful in case one was unfamiliar with the different plants and had a desire to grow them. 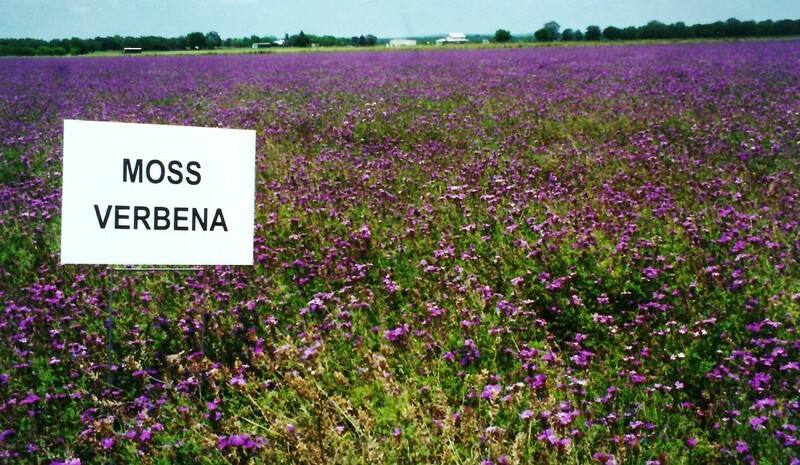 Seeing a picture on a packet of seed is not quite as nice as seeing a vast field of that wildflower in bloom! Naturally I was busily engaged with some picture taking and the photos in this post are from that April visit. Were we to return during the summer months different wildflowers would be in bloom. After walking amidst the area where the flowers are grown, one can then purchase that specific garden seed for one's home garden. Native wildflower seeds as well as more domesticated kinds can be found and wildflower mixes can also be purchased if one wants a mixture of colors and shapes as is found often naturally occurring in nature. This is a fragrant annual plant native to Texas that generally blooms in the spring to summer months. It is grown in the southeastern part of the United States from Texas to Florida and also other states in which it has adapted. 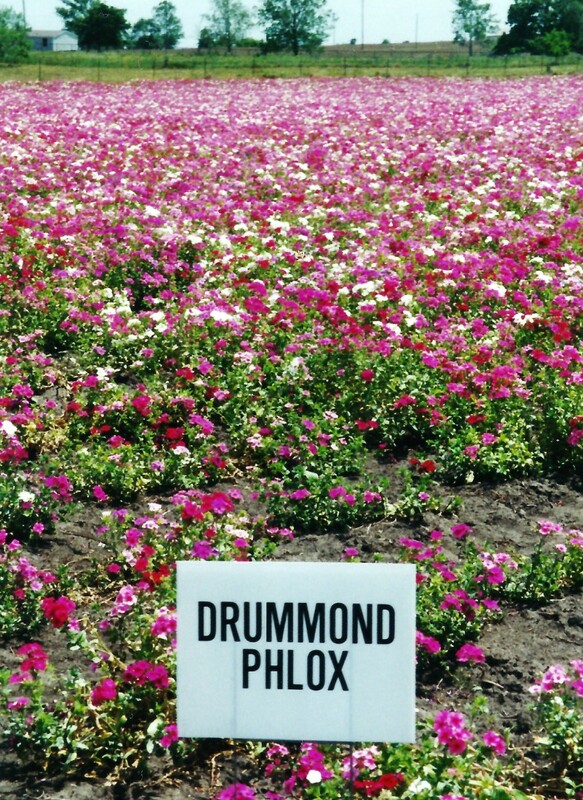 A Scottish man by the name of Thomas Drummond (1793 - 1835) took plant seeds he collected in Texas and they made their way back to England where the pretty phlox flowers have been used successfully in European gardens ever since. They like well drained soil and sunny conditions. There are a variety of colors. Growth habits vary in height between eight inches to about two feet. They make pretty bouquets or are nice additions to other cut flower arrangements. Truthfully we did not know what to expect other than knowing that we would see wildflowers at Wildseed Farms and that we saw in abundance! This business establishment also offers so much more. All types of gift items in addition to an enormous selection of seed packets for sale. If one needs to study up on the art of gardening before delving in to the process of planting and maintenance...no problem! Gardening books are also available for sale to help in that effort. Browsing through the gift shop one is likely to see a multitude of items that are not only useful but could make that perfect and pretty gift for other gardeners which one happens to know. If you are looking for a hearty perennial flower that grows in just about all of the southern regions of the United States originally coming from South America then this is the plant for you! It grows as an annual plant further north. It has a sprawling habit and can be a perfect ground cover plant. Moss verbena grows to around a foot or foot and a half in height. 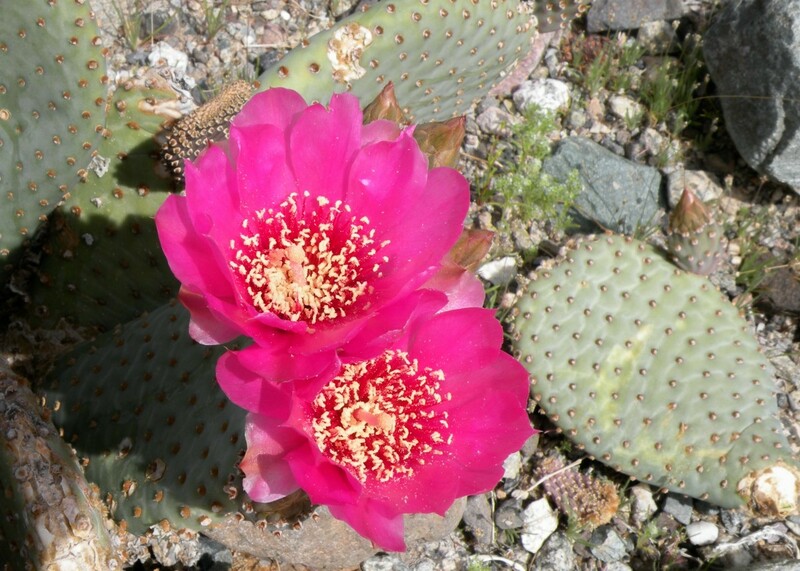 It typically has blue to purple to violet coloration and likes growing in full sun. Another plus is that it is drought resistant. It blooms from late spring to early fall and birds, bees and butterflies love this prolific blooming plant but deer will generally leave it alone. While there are other wildflower farms located in other parts of the United States it was a pleasure getting to take a look at the largest one in the great State of Texas. As they say, "Everything is bigger and better in Texas!" Looking at the video below you now know more of what is located at Wildseed Farms including a butterfly exhibit, the Brewbonnet Biergarten (note the German influence in the name) and other things in which makes visiting here a pleasure. 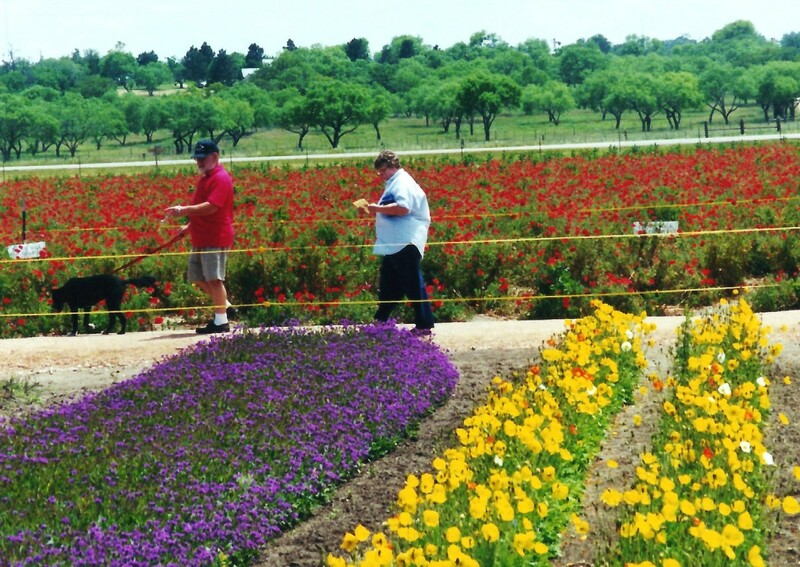 If you are visiting Fredericksburg, Texas be sure to allow a bit of extra time to drive out into the countryside and tour the beautiful fields of flowers and don't forget the picture taking opportunities! Open seven days a week, a journey to those wildflower fields with all their fluttering butterflies is sure to be a sensory delight. Have you ever planted wildflowers? Can you take dogs to Wildseed Farms in Texas? Is there a charge for touring the Wildseed Farms? There is no charge for touring the Wildseed Farms. I love wildflowers, so I would be in heaven here, Peggy. Beautiful! Thanks for sharing! The wildflowers do need to go to seed and fall to the ground for the next years crop to develop. 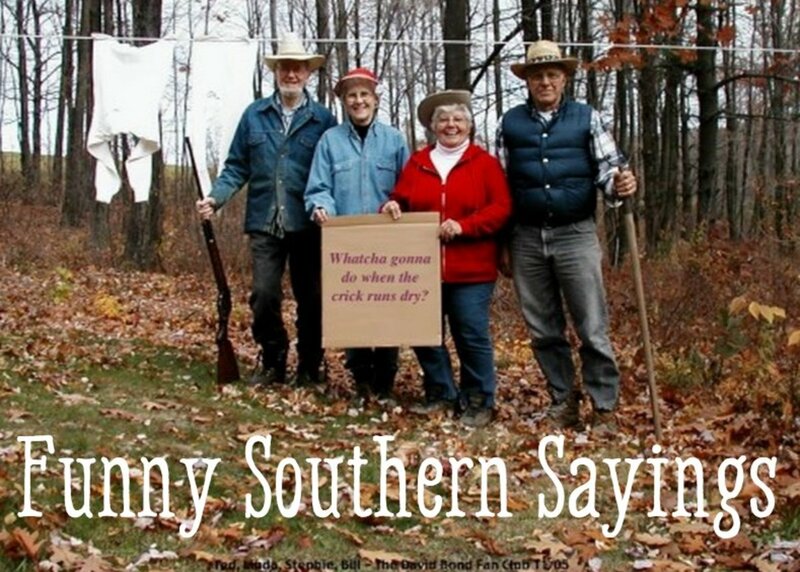 Too bad if they are mowing them early up in your part of Texas. We have seen some of the bluebonnets in town but have yet to take a drive into the country which we need to do soon if we are going to enjoy them this year. Hope we all get more rain in Texas this year! Thanks for the pin! The wildflowers here have only just begun to blossom about a week ago. They're very late this year because of the unusual and extremely cold winter (compared to normal) we've had. I see people mowing our wildflowers while they're still in blossom and I find that offensive. I thought it was illegal to destroy certain wildflowers like the Texas bluebonnet, Indian paintbrush, primrose, etc. I'd much rather see them than the vast expanses of clipped weeds and grasses. We're also in a serious drought. It's hardly rained at all this year so far and on the few occasions it has it was more of a drizzle or a mist. We've had perhaps one good Texas-style rain this calendar year, and even that was short. This looks like a great place to visit and I hope people will plant some of these flowers instead of destroying them in order to grow a new mini-castle instead. Pinning this to Awesome Hubpages. Great information and gorgeous photos as always! Yes, getting to see Wildseed Farms in person is amazing! Glad you at least have some idea of what it is like from the photos. Appreciate your comment. Hi Peggy - well this one is a bit out of my way, but I sure enjoyed the armchair tour. What a beautiful place! And your pix are fantastic. And though pix are one thing, it must be amazing to see in person. I'll admit...seeing those vast fields of wildflowers in bloom is a visual feast for the eyes. Happy to know that you enjoyed the photos and learned a bit about this wild seed farm. Thanks for the vote and tweet. This is absolutely beautiful farm. Peggy you bring so beautiful pictures here that I feel like going there right now. Voting it up and sharing on Twitter. We were actually pleasantly surprised when we happened upon Wildseed Farms the first time. Nice to be able to introduce it to others like yourself. Thanks for your comment. Thanks, Peggy. The Admiral Nimitz Museum is also on our list of places to visit, and we want to soak up the German culture, too. I've been to Wurstfest in New Braunfels but none of the cultural events in Fredericksburg. I think we'll visit in a couple of weeks. Enjoy the wildflowers, and have a lovely Easter! 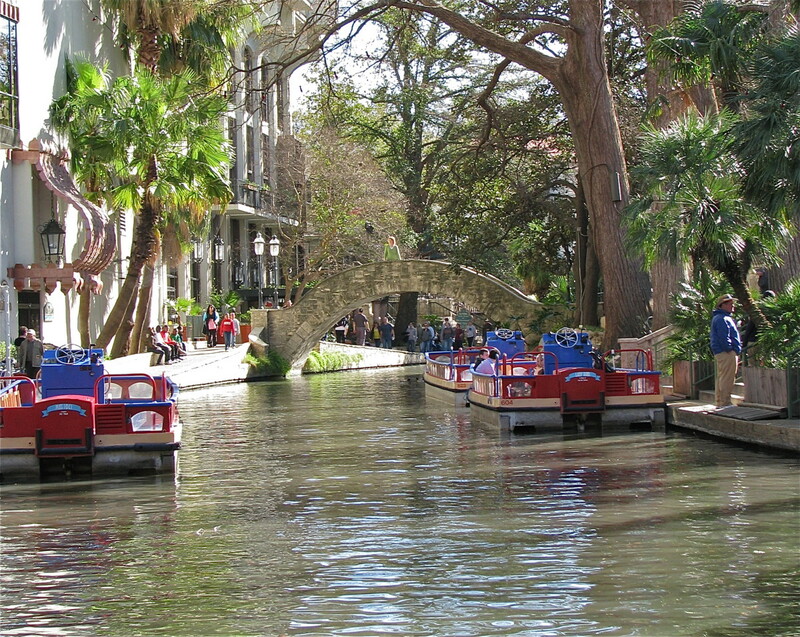 That would be a nice trip from San Antonio to Fredericksburg this time of year. You should see many wildflowers along the roadways including those planted at Wildseed Farms. Have you ever visited the Nimitz museum in Fredericksburg? I have written a hub about it. It is a fantastic place for history buffs who wish to learn more about the war in the Pacific during WWII. Plan a minimum of a half day to see it...and that would be pushing it. Nice thing is that you can go in and out and return the same day if you wish to take a break as we did. Enjoy that new car of yours! Thanks for your comment. Really enjoyed this trip through Wildseed Farms. Thanks for letting us know a place like this exists! What a beautiful hub, Peggy. My husband and I were just talking about a road trip to Fredericksburg (we want to take our new car for a spin). I must remember Wildseed Farms when we get there. 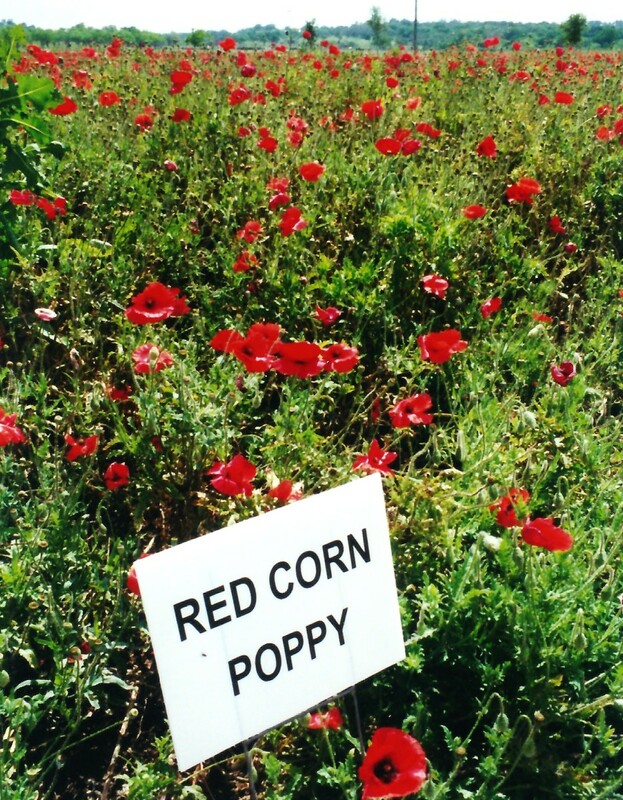 I grew some red poppies when we lived in Wisconsin Rapids, Wisconsin but have not tried growing them in Texas. Obviously they grow here given the fields we saw at Wildseed Farms. I well remember the beautiful wild orange poppies in California that we saw while on vacation out there. Thanks for the vote up + share. Beautiful hub. I loved the videos. I wish I could grown poppies I keep trying and they keep dying. We use to have a field full of orange poppies when we lived in Calif. Voted up and Shared. 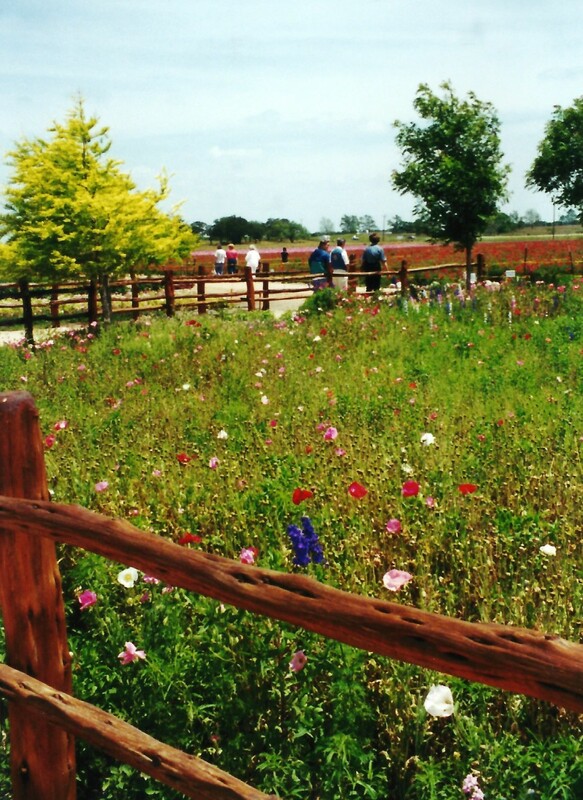 Anyone who loves flowers as you do would love visiting the Wildseed Farms were you ever to visit this part of Texas. So glad that you liked learning about it. Appreciate your votes and the sharing of this hub. Yes...Wildseed Farms offers a color palette full of glorious colors in the fields surrounding the main buildings. So happy that you liked the photos. Thanks for the vote up and the share. So glad that you liked this hub enough to vote up and share. 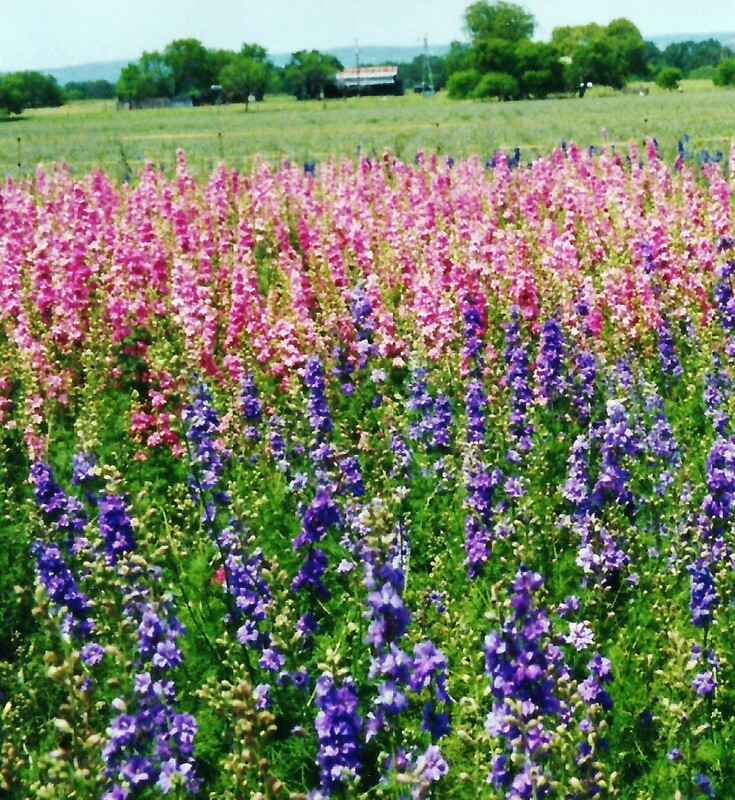 It is an amazing site to be able to see fields of colorful wildflowers being grown for seed. 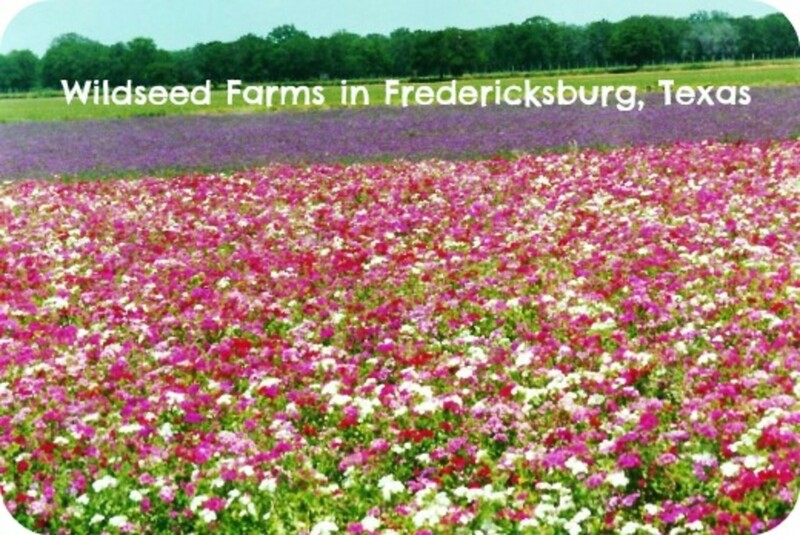 Perhaps someday you will travel over to the Fredericksburg area and visit the Wildseed Farms. Hi there, many thanks for this beautiful Hub! You know how I enjoy flowers, I do so love the colors and shapes! This was a fantastic read, voted up, awesome, beautiful and interesting! Have a good day and thanks again! Sharing. Wow! All of these colors! Great hub - voted up and shared. Gorgeous photos and videos! I didn't realize before that there were farms for wildflowers. I guess I should have because I have often purchased the Texas bluebonnet seed packs. Voted up, UBA, and will share! At some point in the year they obviously let the wildflowers go to seed so that they can harvest them. While interesting, it might not be the prettiest time to visit. If you are seriously thinking of making a visit, you might want to give them a call and get a "bloom report" if not going in the Spring and Summer months. The rest of the things at Wildseed Farms is interesting. Please come back and give us a report if you visit in October. Thanks! It would be difficult to decide which feature of the Wildseed Farms facility I would like the best! What a delightful lovely visit on this rainy, grey day with temps dipping to herald the seasonal change. I'm going to look more closely at your map! It is amazing to look across vast fields of wildflowers in bloom in all of the different colors. So glad that you liked this. Appreciate your nice comment. Another true gem from you Peggy;you have set yourself a very high standard here;and not once have you disappointed. Great work and enjoy your day. There is much beauty in the USA and Wildseed Farms is but one small example. Glad to hear that you liked these pictures. Thanks for your comment. Oh, how beautiful. To imagine being in a sea of colourful blooms like that would be amazing. USA is sounding like a great country after the hubs I have read today!Lovely photos! It was fun visiting Wildseed Farms and seeing those swatches of color in those fields of wildflowers. Hope you get to see it for yourself someday. Thanks for the comment. Hope that these bright and beautiful fields of flowers brightened your day! Thanks for the visit and comment. Incredible report and pictures dear Peggy. You're a great vacation for me and I never leave the house. I believe the entire purpose at Wildseed Farms is to grow the wildflowers...let them go to seed and then harvest the seeds. They can then package them as single sources of flowers or mix them up purposely and sell them that way. As you can see they have also grown to include a gift shop, restaurant, etc. Yes, they cultivate them in a big scale. Thanks for your comment. I love village scenes and this one is very beautiful. Do they make any products from those flowers ? It seems that they cultivate them in big scale. Driving across Texas from tip to tip in almost any direction is like driving across two or more other states combined! According to the news the other night on television they are thinking of raising the speed limits again. When one is driving out in the wild open spaces of West Texas (for instance) this makes great sense. One can go an hour or more without even seeing another car! You will be way up in the Panhandle of Texas. With maps and guides you will be able to figure out distances and approximate timing (without road repairs, of course) and hopefully get to see more of the State when you come this direction. Thanks for taking the time to look up the town, Peggy... I know in PA cities can be as far as 8-hours away by car so I can imagine Texas is even further in parts... but we may be able to build more time into our trip... take care & have a wonderful Easter. All crops when doing well are probably beautiful to farmers...but as you say, the Wildseed Farms folks get an extra splash of beauty when gazing on their colorful fields of flowers. Thanks for your visit and comment. Thank you, Peggy, for bringing such a delightful hub. The owners have a wonderful way of life and working. Hope that you get to visit Fredericksburg, Texas and Wildseed Farms in the near future. Appreciate your comment. These fields of flowers at Wildseed Farms if visited at the right time of year are amazing. Glad that I could give you a sense of what you would find were you to visit in person. Appreciate your votes and comment. God Bless you too! I had no idea either so looked up Fritch and it is way up in the panhandle of Texas. As you will learn distances in Texas can be vast. Hope that you get to eventually visit more of Texas in the future. I love the beauty of the wildflowers. Thanks for introducing the Wildseed Farm to me. A beautiful paradise kind of place. I would love to visit Frederickburg Texas soon. Great photos and videos. Wow.... this was fascinating hub. Well done, Peggy. You always teaching us new and interesting place to visit. I can't wait to see this place in person. I love all stunning pictures here. Awesome video. I give my thumbs up for you, I make it double with my VOTE UP. God bless you! 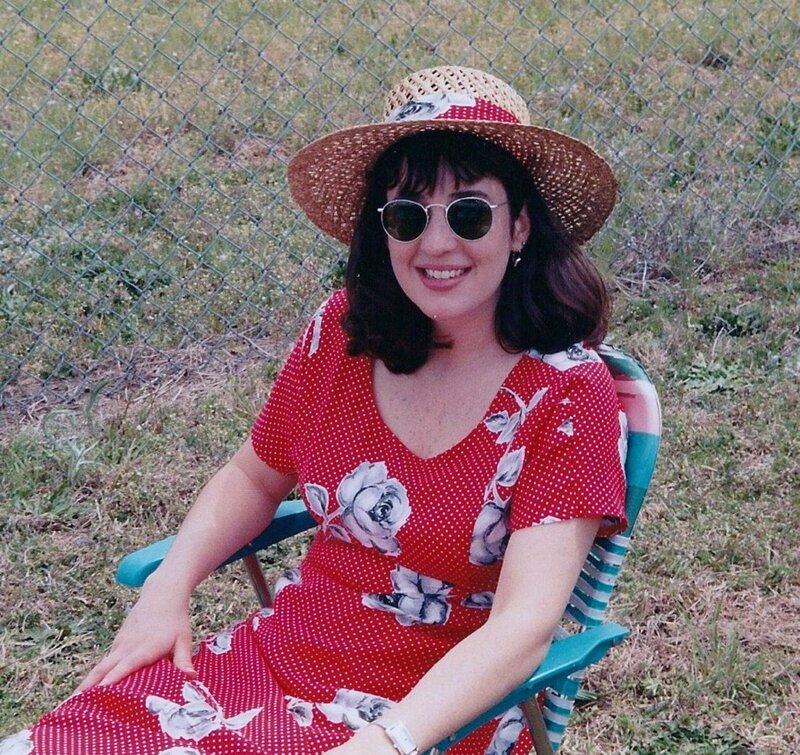 Hi Peggy~~ The town is Fritch... we have not had a chance to check out where it is in the grand scheme of Texas yet...just having found out recently. The pictures that I took of Wildseed Farms give you just an idea of what you would experience in person. Thanks for the votes and comment. Absolutely incredible. Voted up and awesome. Just breathtaking. If you ever visit Texas, plan to stay a while. There is so much to see and enjoy here...Wildseed Farms being just one tiny thing (even though it is the country's largest wildseed farm.) Thanks for your comment. When we visited the wineries on the Bluebonnet trail last year, we were given packets of bluebonnet and other wildflower seeds which we scattered at the right time of year in our greenbelt area. Very few wildflowers came up this year due to the drought conditions. Maybe next year! Thanks for your comment. I like poppies also. Yes, it makes sense that there have to be seed farms like this one at Wildseed Farms in Fredericksburg...or we wouldn't be able to as readily purchase wildflower seeds. Thanks! So happy to hear that you enjoyed this. You take such great pictures of wildflowers and other things in nature from your part of the world. Thanks for the visit and comment from across "the Pond." Great quote. The purple fields of flowers are hard to ignore! Thanks for the votes and comment. So glad to hear that you liked these pictures taken at Wildseed Farms. Very colorful spot to take pictures. Thanks for the votes and comment. Wildseed Farms really would make a pretty backyard! Thanks for the comment. Ooooooooh!! I want to go to Wildseed Farms!! How pretty!! Just as pretty as blue bonnets. I've thrown out wild seed paks on the edge of the lawn near the road hoping to enjoy a spring surprise but was never that lucky. I love the Poppies. Probably should have bought my seeds from a better source. I'm familiar with the see farm, but never visited. Beautiful! PeggyW once again you have produced another gem. Wild flowers are so important to all of us and the eco-system of our planet. Your photographs as usual take me into your world, a place I enjoy sharing with you. Thank you~~ Voted UP, BEAUTIFUL & AWESOME...! I guess it makes sense that places like Wildseed Farms and others exist, or where would we get all of those flower seeds? Our bluebonnet season as well as many other wildflowers along the highways and fields in Texas was very sparse this year (poor showing) due to the lack of needed rain. Maybe next year! Thanks for the comment. If you ever come to this part of Texas be sure to visit in the Spring of the year or at the latest in the summer to see the best displays of color at Wildseed Farms. Thanks for your visit and comment. rated up and beautiful. I especially like your picture of the barn with the two wheel cart in front of it.The field with the fence also attracts my attention.voted up and beautiful. Thanks for the compliments on my picture taking at Wildseed Farms. Nice that you and Jerry have also been there to see it. Appreciate your comments! So very happy that looking at these pictures of the fields of flowers at Wildseed Farms brought you such pleasure. Thanks for your comment. What a wonderful backyard that would be. Wow, it makes me feel good just to know that a place like this exists. Peggy, I would love to visit there as those pictures are breath taking! Rated beautiful! Jerry & I visited and it truly is beautiful. Your photos really capture the beauty. Wow Peggy, I loved this one and thank you so much for sharing. Definitly another to bookmark for armchair travelling. The colours and everything are beautiful, rate up and up all the way. It's certainly brightened my day . Wildseed Farms just outside of Fredericksburg, Texas is indeed a great place to visit in the spring and summer months when the fields of flowers are in full color. Thanks for the first comment! Now this is a place I'd love to visit, thanks.